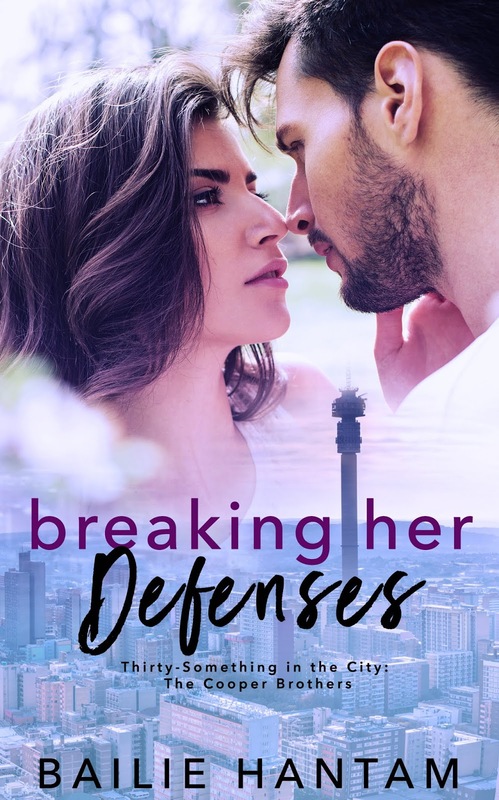 BLOG TOUR: Title: Breaking Her Defenses, Author: Bailie Hantam, Genre: Contemporary Romance, Series: Thirty Something In The City – The Coopers #1 ~ Available Now! Bailie Hantam lives in Johannesburg, South Africa. She’s been writing stories her whole life. Her love for the romance genre started back in her teen years, when she devoured everything ending with a Happily Ever After. She put off writing for nearly two decades while she concentrated on raising her daughter and helping with her husband’s business. Now, with an empty nest, and a little more free time, she is finally writing and giving those characters in her head their own Happily Ever After.